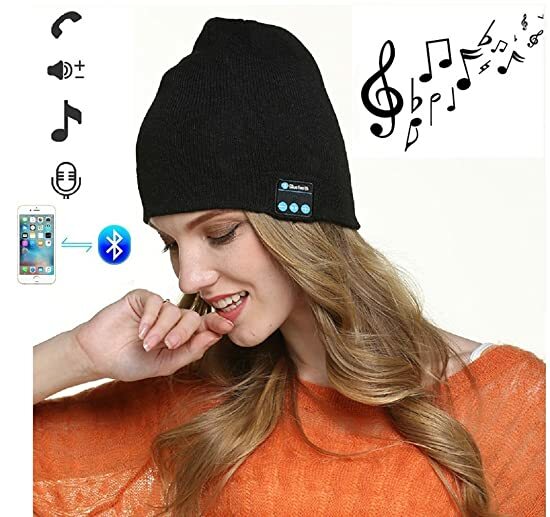 HIGHEVER Wireless headphone beanie allows you enjoying music while protecting from cold, available for cell phone to transmit the speaking phone to your audio devices directly, Bluetooth hat combined with excellent sound quality stereo speakers, perfect for outdoor sports, running, skiing, skating, hiking, working out, dog walking, holiday travelling and best gift for your friend, family, lover! The wireless headphone beanie has no-hassle removal design provides convenience for beanie washing with color retention and non-transformation(Just remove the internal speakers from their pouches before washing). The Bluetooth music hat built in Li-ion chargeable battery, charge via USB cable, long stand-by time. Wireless range up to 33 feet built-in microphone allowing you to talk hands free! 1. Do not force to pull out the Bluetooth hat to prevent the built-in wire being broken. 2. Please remember taking off the headphones when you want to clean the bluetooth cap. 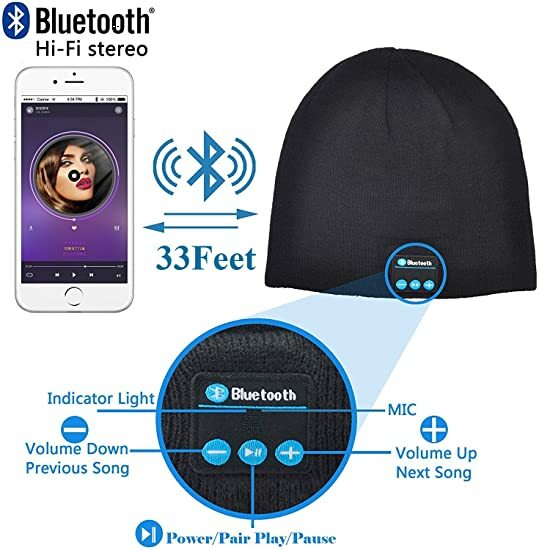 MUSIC&TALK&VOLUME CONTROL: HIGHEVER Bluetooth hat adopted premium soft knit beanie keep your head warm and allows you to listen to your music without having to wear additional headphones. The control panel built-in stereo speaker and microphone on the left earpiece allows you to skip back and forth through your playlist, answer and hang up calls without having to use your phone! Perfect Christmas unique gifts for men, women etc. 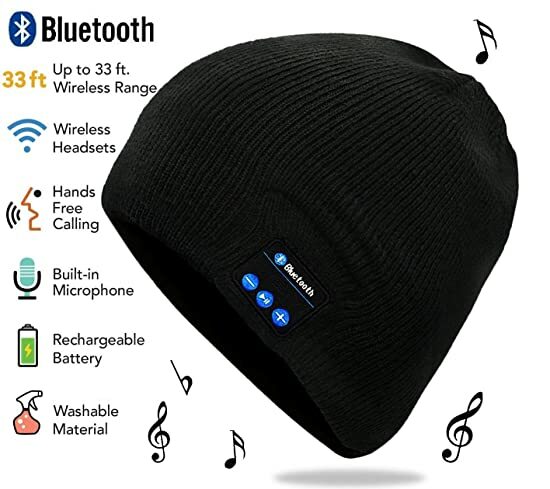 APPLICABILITY: HIGHEVER Bluetooth beanies comes with an intuitive control button and a high-density built-in rechargeable battery to manage 6 to 8 hands-free phones and wireless remote streaming music streaming, from up to 33 feet of distance with free line of sight. Universal Bluetooth v4.1 technology with forward/backward compatibility to connect to all other Bluetooth enabled media player devices including smart phones, tablets, iPhone, iPad, Android, Samsung Galaxy, laptops, PC, etc. COLD-RESISTANT, BREATHABLE&HANDS-FREE: HIGHEVER Wireless headphone beanie with acrylic and polyester material that provides maximum comfort and warmth. 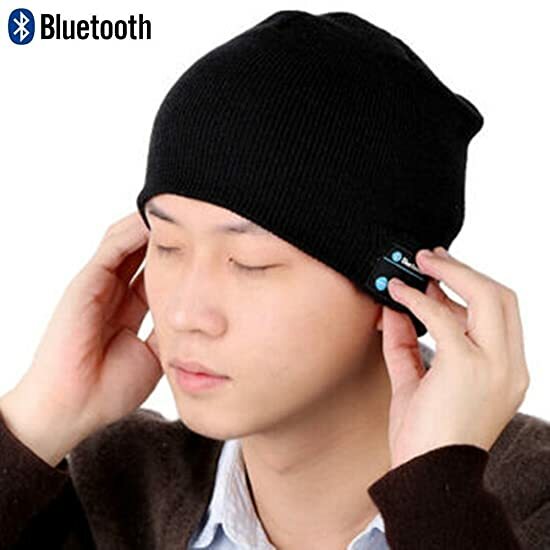 The special design of Wireless winter hat cap provides you hand-free music and phone conversation with good sound absorption. FITS WELL & FULLY WASHABLE: HIGHEVER Bluetooth beanies with stretchable high quality knit material to fit all sizes and shapes. 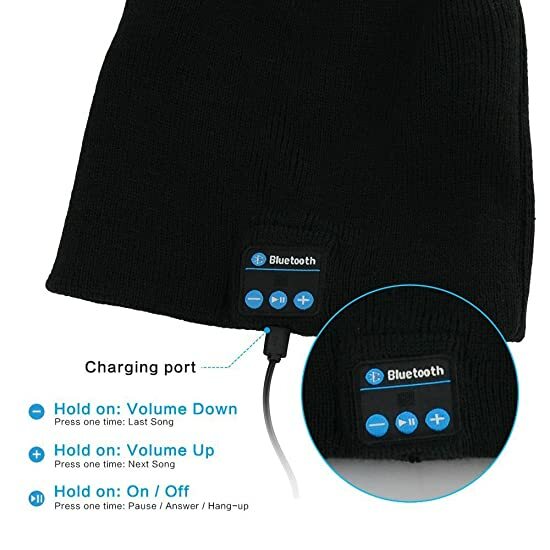 Beanie is washable, take out the Bluetooth Headphones from the pockets of beanie before washing. Whether used by outdoor laborers, fishing, skiing, camping, or any cold weather activity. Perfect gift for Thanks Giving Day, Christmas!